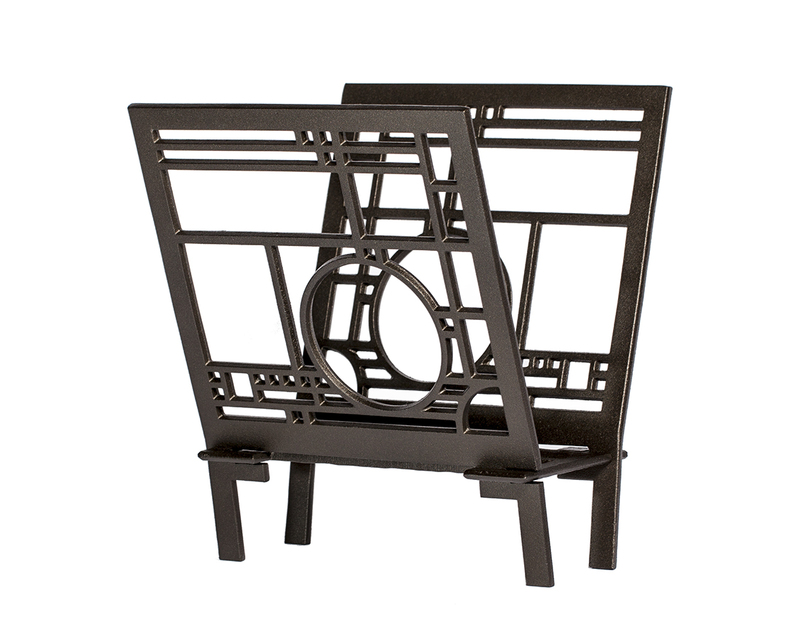 A handsome and functional gift, this magazine rack is adapted from a window of the Avery Coonley Playhouse in Riverside, Illinois, (1912). Of hand-cast aluminum with a matte dark brown finish. 11"w X 13"h X 9"d. 6 lbs.